I love my pillow. It as a gift from here. April marks an anniversary for us; eight years ago we bought an old house on the five acres that has become our homestead. I know that ten years is usually considered more of a landmark, but Dan and I have been discussing our progress and goals, and it seems that at eight years we are beginning to see the light at the end of the tunnel. The tunnel I'm referring to is what I called "The Establishment Phase" in 5 Acres & A Dream The Book. We started with a period of assessment, planning, goal setting, and prioritizing, all with a view toward becoming as self-sufficient as we can: food production (for both us and our critters), energy, and water. This has required planning, research, and experimentation, along with all the ups and downs that come with it. The largest part of establishing our homestead has revolved around building. Repairs and energy upgrades on the house were important, and so was fencing and housing for our animals. Our old outbuildings were in bad repair, and then there's food growing. It's one thing to grow a year's worth of food, but how and where does one store it? We actually don't need much space to live it, but where do we store a year's worth of food for us, or a year's worth of grain and hay for the critters, or a winter's worth of firewood, or a summer's worth of rainwater? Then there are the tools, equipment, and implements to accomplish all of that. Everything needs a home. It was our discovery and discussion of the sad state of the carport that got us talking about our goals. As Dan often says, we aren't getting any younger and eventually, we want to be able to get on with simply living. We'd like to have all the projects behind us and develop a seasonal rhythm for our lives. The problem with projects is, there's always another great idea on the horizon, something else to build, another way to expand our homestead. We could probably go on forever with projects, but soon Dan will retire and our income will drop drastically. It was time to decide if and when we could finish our projects, declare ourselves established, and get on with the next phase of our homesteading - a simple seasonal routine. Of what we need (versus what we'd like), well, since the carport is in dubious condition, Dan needs a workshop. After that we'd like to get our equipment undercover; under an overhang at least. The house is close to being done, so the only other major building project would be a small greenhouse. With all that in mind, I said, "You know, the Little Barn is serving very well for the goats, milking, and hay and feed storage. My dream barn would be nice, but it makes more sense to go with what we've got, simplify the barn plan, and build a workshop with storage." So that's what we're going to do. Well if it ain't broken don't fix it. I like the way you think, plan and execute your projects. I find it interesting that sometimes we don't know how well, or lack of well, our projects service our needs until they are in use awhile. Sounds as if you made the right choice with this one and I bet Dan is really excited. You guys have accomplished so much in 8 years you have the right to be very proud. And, sometimes it just makes sense to get done what NEEDS to get done then take a breather & go on with life. We were already in our 60's when we purchased our property 4 years ago. We're now both retired and on a limited income - 1/3rd of what we were used to making. We hope to have all our large projects completed by end of year 2018 (6 years after purchase). We feel the need to have a more laid back life soon. We don't want to sit in our chairs and wait to die but being able to take things at a more leisurely pace is our goal. We started over last year....retirement would be nice at a decent age, so, it can be enjoyed! Congrats on your 8 year anniversary! Part of the reason I enjoy your blog so much is your expert planning. I am a planner and have been since I learned how to write and made my first list! LOL! I'm not sure I'll get as far as you or even homestead at all as the clock is ticking for me but whatever happens I do what I can and try and enjoy each day. The pillow is really cool! Did you make that? I had no idea you had so many books published. I know where to come if I ever get that land! Congrats on your anniversary. May you have many more (perhaps simpler ones) in the years ahead. Sometimes we're so busy with projects that we can't get on with life! LOL I had a little trouble letting go of my dream barn, but once I did I couldn't imagine why I was hanging on to it. My current goat barn still has a lot of potential, and I'm happy that it has the room and proper protection for my goats. Mama Pea, you are describing the problem exactly! There is always something else to do and it's always a worthwhile project! I do think there's room for growing, learning, and pursuing interests at each phase. It would just be nice to not have to neglect or postpone the seasonal things because we've got to finish the current building project. Looking at it this way, we're almost there! Mary that sounds like an excellent plan. I think the older we get, the easier it is to keep things in perspective. Definitely want to be actively involved in providing for ourselves, but you're right, it should be manageable. Thank you! So glad to be getting so many like-minded comments - it's encouraging! Mr Shoes & I have been in the same thought process; improvements & upgrades never seem to end. Looking very forward to relatively predictable routine. We've been here 36 years and there is still much to be done! I guess most of it won't get done now, so we'll muckle along doing the best we can and grabbing some relaxation time when possible.The trouble is we get rather bored with relaxing! You are so much more organised than us. Happy Homesteading Anniversary Leigh and Dan. Hope you have many more. You're a great inspiration to me, and I'm sure to others. And you know you are so right, NONE of us is getting any younger. I have lots of plans for the future as well. But I have to remember by the time we purchase, I'll be 50 and I also want to plan well so that we do have some kind of established routine. I love the pillow! 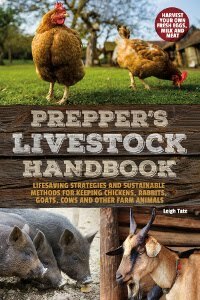 Homesteading teaches us so much, it's so helpful in planning for new projects because you really know how hard, how long, and all those other unanswered part of the equation, ha! we're just gonna be sages full of wisdom! Happy Spring! I wish you both all the best as you look at the next season of life on the farm/homestead and enjoy the fruits of your labors. *smile* Do what needs to be done so it can hopefully pay for itself sounds good to me. *smile* Though our family is so far from that in this season of bringing up two growing blessings that our focus tends to be on making memories that will last and making sure they are ready for wherever the Lord calls them in their lives. That seems to be all our plates can handle for now. I like the idea of camping but that and farm critters don't really work together so I have not been pushing to get chicks or any more critters since we moved. I would like to do some things in our yard since it's truly a "blank canvas" as my husband calls it, but for now it's a matter of making good choices so we don't have the desire to move things later. *smile* When I see your adorable goats I miss my well mannered ones. *smile* Have a great day enjoying your time on the land. *smile* Sincerely, Mommy of two growing blessings & so much more! It's good to hear you say these things at 8 years. We are 18 months, and so much JUST beginning. I know what you mean about feeling the "slow down" coming, and knowing you need to be practical and not dreaming of the perfect barn, haha! There are dreams, and then there are the things we end up settling with happily because it allows us to get on with simple living, as you say. It sounds like such a sensible plan, to skip the dream barn and go for a workshop instead. Especially since both are useful places, that serve the homestead. I'm sure all that lumbered wood, Dan did, will make a fine workshop - but make sure he puts some aside to feature in your renovated barn too. It pays homage to the barn that didn't happen, but still features in the barn that did. No, they never seem to end! We figured we just had to make a decision as to what was truly needful and be content with it. Even so, it still seems like it's going to take awhile to get there! "We're just gonna be sages full of wisdom!" Ha, ha! Just as long as all that wisdom isn't to late to use! I would love to have well-mannered goats! LOL. I always have at least one who seems to live to keep things stirred up. I have to say that I think child rearing is the most important task and well worth the time and energy. The biggest reason we are so late in getting our homestead up and running is because we chose to live on one income so our children could have a stay-at-home mother and so that we could homeschool. If I had gone to work we would have had money to buy a place sooner, but you know what? I've never regretted the decisions we made. Now that my children are grown and I see the outcome, I know it was worth it. Well put. I think so much of "happiness" is a matter of choosing to be content. Our culture seems to see contentment as complacency, which has no positive connotations. OTOH, we call discontent, "ambition" and that's supposed to be a good thing. I think we have it backwards! There is always tweaking, isn't there. :) I think it is a sensible plan. Trouble is, we get so fixed on our plans, sometimes, that we fail to reassess as needed. The workshop will be a big project, but it will help so many things find a home. And hopefully bring a little order to our constant make-do chaos. Oh I like that "food first". Thanks, that's going to stick in my memory! I am always trying to remind myself that the best action is the smallest change for the greatest effect. It isn't easy when you are allowing yourself the necessary time to dream of what could be. But the least change for greatest effect is a helpful rule of prioritizing. Seems like that is the conclusion you have come to as well. I always enjoy checking in here to see what you are up to! Unfortunately when I land her through Internet Explorer, your comment box does not show up! That happens on a few others as well, it's so frustrating since my Google Chrome doesn't always want to load for me. I have only 2 acres, and am far from a homesteader like you, but I do what I can to grow my own food and eat as local as possible. The days of having chickens ended for me when a hawk left one half dead and we had to put it out of its misery....now I get my eggs from a neighbor who has chickens and far too many eggs, it is a win/win for us both! Well mannered goats. Isn't that an oxymoron? We did the same Leigh. My children had a head start because of it and even though they weren't schooled at home (home schooling wasn't organized or even talked about much then) having an stay at home mama was important to us. It is very worth while to be sure! This month is out two year anniversary on The Poor Farm and we have so far to go! But your blog pushes me ahead every time Leigh. Thanks so much for that. We need a real barn so bad, animals scattered all over in makeshift sheds, but what a struggle to find or build a decent building for only $5000. Like you said, so easy to house the homesteaders but so hard to house all the homesteaders STUFF! "Least change for greatest effect" - I like that! I usually think in terms keeping it simple, but phrased like that seems much more descriptive than "simple." Getting older has helped in that department! We know we'll need to slow down (already are), but definitely don't want to come to a stop like so many people do when they "retire." 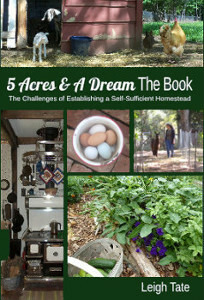 I'm not sure if a manageable life on a homestead is possible, but we're going to try! Debbie, I'm delighted you were able to comment! I have found that I have to use at least some version of Chrome (I have Chromium) to use Google products. It's the only one that renders them properly. So I keep this web browser dedicated to blogging (and facebook) and use other browsers for other things! So sorry you had trouble with your chickens. Predators can be brutal, But it sounds like you have a wonderful arrangement with your neighbor. That's how community is supposed to work. I feel your pain! Making do only works for so long, and then it becomes a lot of work with problems of its own. I hope you get your barn soon! And congratulations on your own homestead anniversary! Don't you wonder where the time flies to? Nancy, that's a good point. Dan is already having trouble with his knees, so we have to learn how to pace ourselves so it doesn't get worse. Another reason to reach an end of building projects!